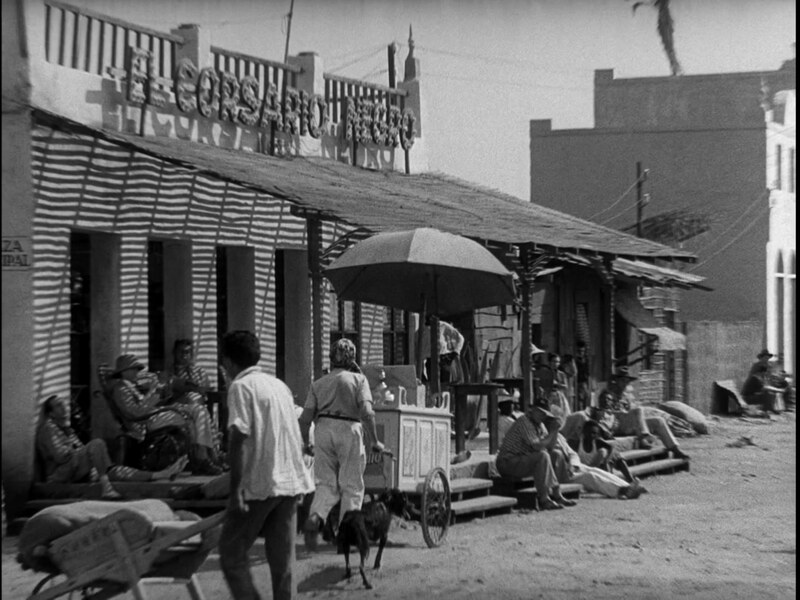 Movie Ramble: Wages of Fear. Described as a ‘withering depiction of greed and the corrupting influence of capitalism disguised as an adventure film’, Henri-Georges Clouzot’s 1953 Wages of Fear is set in Las Piedras a desert town in South America where the worlds deadbeats seemed to have congregated and tells a tale of broken dreams and moral decay without even a hint of sentimentality. Two teams, motivated solely by the promise of monitory rewards, complete to transport a truckload of nitro-glycerine along a 300-mile road trip to the site of a fire at a remote oil refinery so that the oil company can blow the pipeline and put out the blaze. The catch? The nitro-glycerine is notoriously unstable and sensitive and the route is unbelievable hazardous including hairpin bends, rickety bridges, potholes, falling boulders and bumpy mountain passes, one wrong move and the trucks, along with there crews, will be blown to kingdom come. The desert town of Las Piedras. 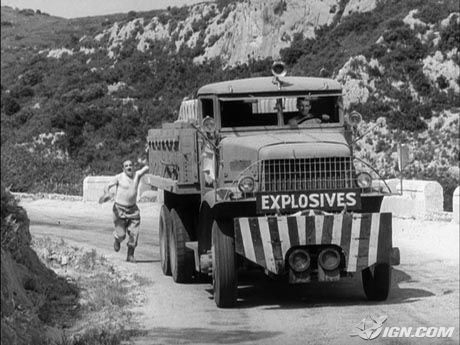 The film starred Yves Montand a French, Italian born, actor who found international stardom as the young truck driving desperado Mario who gets chosen as one of the men to ferry the high explosive. Montand is an actor you may remember as the greedy malicious farmer in Claude Barri’s 1986 two-part saga Jean de Florette and Manon des Sources. The veteran French actor Charles Vanel plays Mario’s co-driver Jo, an aging ex-gangster who seems constantly to be jostling against his younger nemesis, a regular Clouzot collaborator who also appeared in Les Diaboliques. Someone else appearing in both films is the Brazilian born actress Vera Clouzot, the director wife who died from a heart attack at the age of 46 in Paris in 1960; she portrays Linda, the only female character in the film, and works in the bar but spends most of her time worshiping Mario. 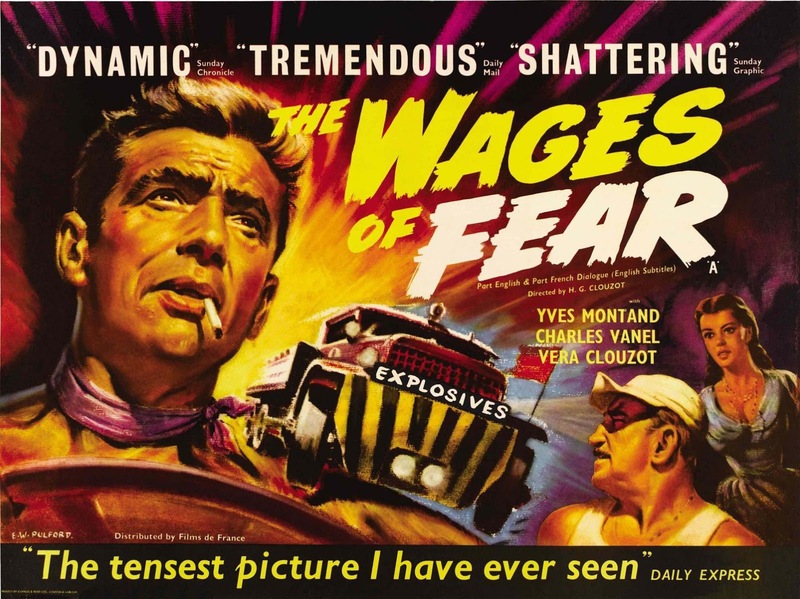 Wages of Fear elevated Clouzots directorial status to international level and along with Les Diaboliques (1955) is possibly his finest work. The tension generated by the story has to be felt to be appreciated, it really is one of the most exciting films I have ever seen and with the brilliant interaction between the character’s it is no wonder that it is regarded as one of world cinema’s best movies. The almost insurmountable dangers get worse!